Will good things come to those who wait? Overkill’s The Walking Dead has been simmering in the pot for quite a long time, but it’s nearly ready…and to prove it, Overkill has revealed the fourth and final playable character in the game. 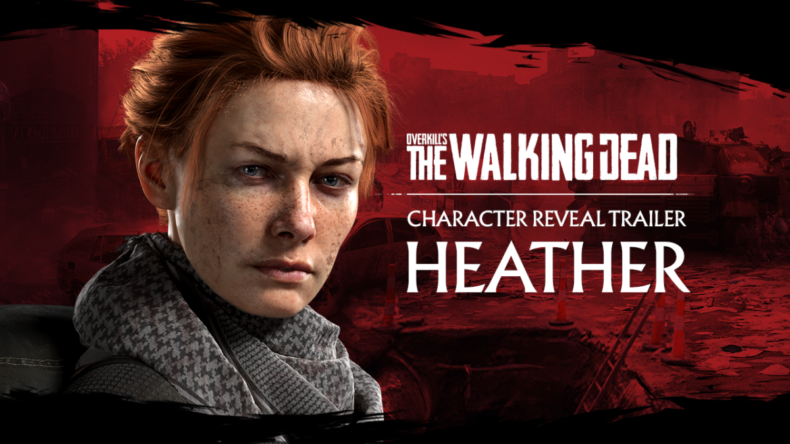 What’s the story behind Heather? Overkill revealed that Heather’s pre-apocalypse job was that of a kindergarten teacher. She’s seen quite a few things unapproved for young eyes since then. “A kindergarten teacher in her old life, Heather has had to learn the hard way that the difference between right and wrong isn’t so clear in a world where humanity struggles to survive against the undead,” reads her official description. Heather joins former businessman Aidan, surgeon Maya,. and grizzly man of the wild Grant. They’ll work together to survive the zombie-filled landscape, and you and your friends will decide how they go about it. Overkill’s The Walking Dead will be playable on the E3 show floor this year; look for it at Booth 5200 in the West Hall of the Los Angeles Convention Center. If we wind up getting a solid release date in the next few days, we’ll pass it on. Inspired by Robert Kirkman’s original graphic novels, OVERKILL’s The Walking Dead is a four-player co-op multiplayer FPS in which players must band together on a variety of missions and raids to find survivors, secure supplies and stay alive. Use stealth to evade enemies tactically, or dismember walkers limb from limb with brute force and firepower.